This is my one year old son wearing the costume. I ordered his clothes from Primary.com. The rest of his costume I made from craft foam and EVA foam. For the paint, I used acrylic paint. For his tail I twisted pipe cleaners together and wrapped it with felt and then stuffed it with cotton. 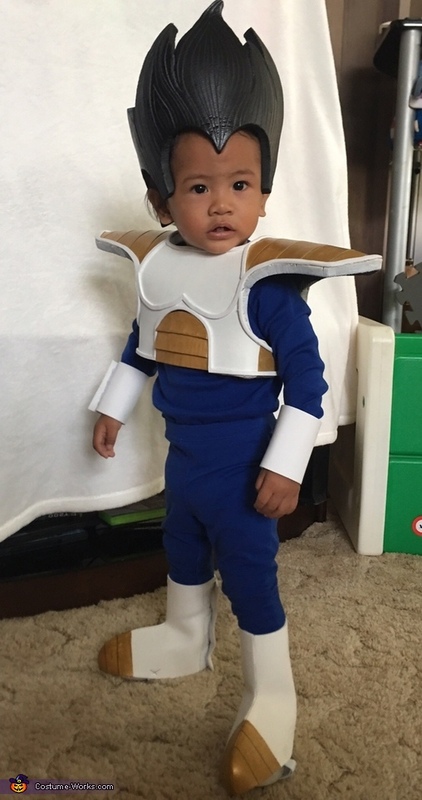 My older son and husband enjoy watching Dragon Ball Z and thought it would be cute to dress him up as one of the characters.